Holiday Treats Made + Tasted Sparingly = Satisfied + Getting In Shape In December! When I first got married, my husband asked me to learn how to make Christmas candy from his mother. So I did. 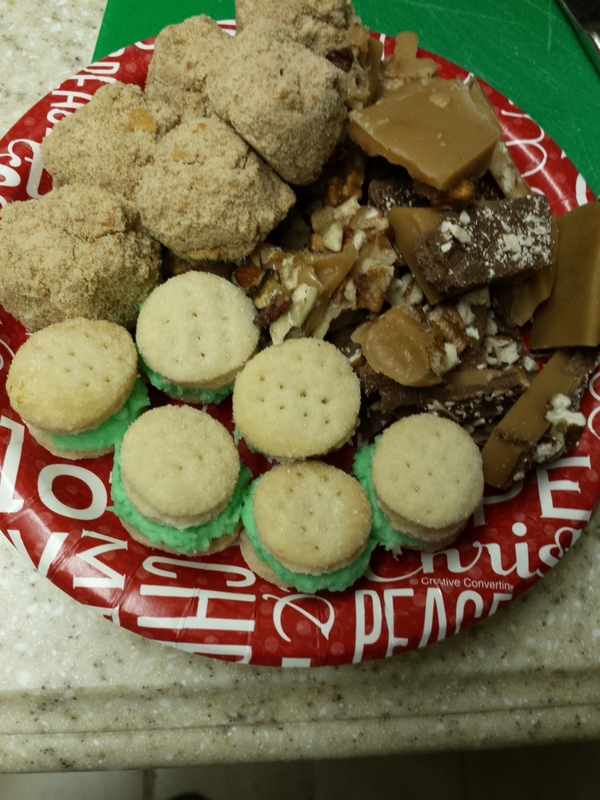 She made English Toffee, Pecan brittle, chocolate balls and butter/cream cookies. They have been a part of our Christmas tradition for years. I LOVE the toffee, chocolate balls and cookies…the brittle is good, but I don’t care much for it (too much nuts and no chocolate). 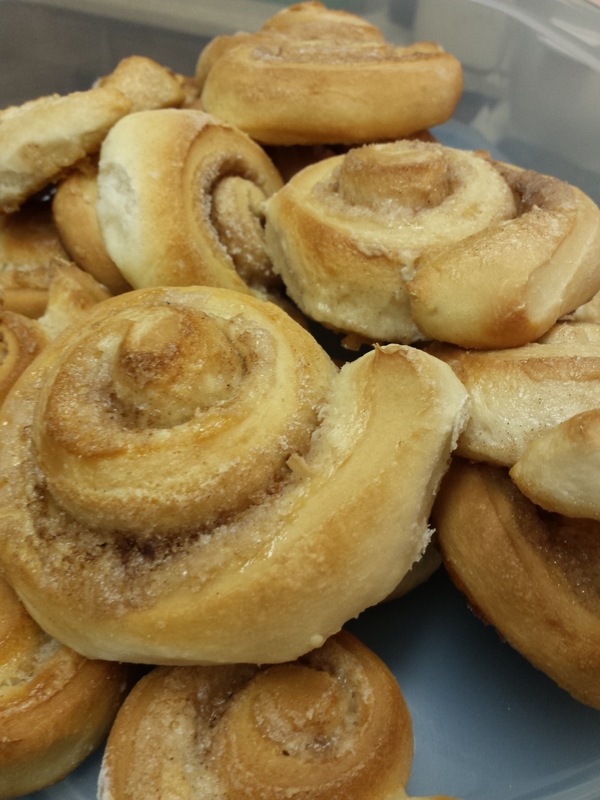 And…I made some cinnamon rolls. 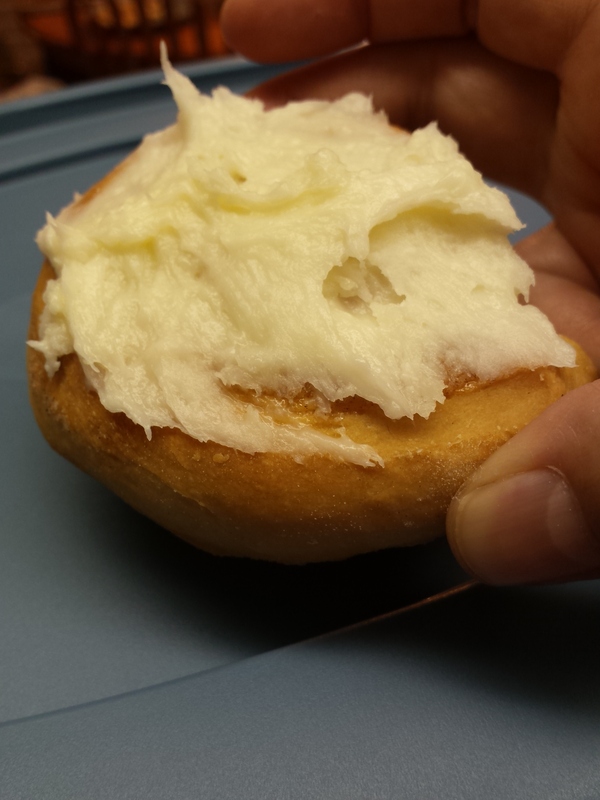 You got to understand, these are fluffy and they have a butter/cream cheese filling. It melts in your mouth! So, every Christmas I ate my fair share and then some. Well, this Christmas is different! I have tasted the goodies and they taste as fantastic as they did every Christmas before this one. However, that is all I have had, a taste. They don’t look as “I must have more” as they did in years past. They are beautiful, tasty and sitting on my kitchen table. However, I am in control of what I eat! Committing to get fit has its perks. It makes it easier to do what needs to get done. It makes it easier to stay focused and I am sooo worth it! Going to the gym makes it clearer what I am doing. And walking by those pans of candy without eating all I can eat is not that hard. I don’t feel deprived at all. If I really want to have a piece of candy or a cinnamon roll, I do. The difference is, I savor it and enjoy it to the last bite and move on. Love my new way of life! Last week wasn’t the best, this week is better. Working on it. Giving up is not an option. No longer living to eat delicious foods…I eat to live a delicious life!